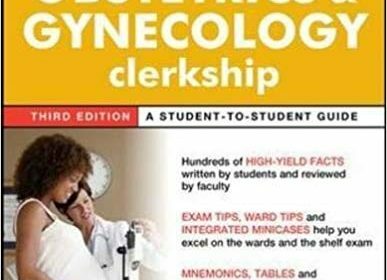 This powerful review for the obstetrics and gynecology clerkship provides medical students taking required rotations with a single, concise, high-yield resource for excelling on the boards and wards. Hundreds of high-yield facts based on the clerkship’s core competencies review everything students need to know for the clerkship. Margin notes highlight common exam and “pimp” questions to really help students shine. New to this edition, mini-cases are integrated throughout to give a clinical “face” to disease discussions. Four new chapters cover twinning, cervical dysplasia/HPV vaccine, breast disease, and women’s health maintenance. A section of “classifieds” include scholarship and award opportunities.